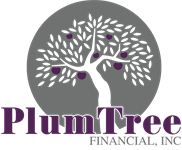 PlumTree Financial provides comprehensive and individualized financial planning, and then works with clients to bring their plans to life. We empower our clients to make good financial decisions by providing the information, tools, and guidance they need. As Registered Representatives with LPL Financial, we offer a diverse array of financial planning, investment services and insurance products. Join us for our yearly client (and friends!) appreciation party. This is our chance to say thank you for helping us grow another year. The LPL Financial Representatives associated with this page may only discuss and/or transact securities business with residents of the following states: CA, DC, FL, GA, IL, MA, MD, NH, NY, RI, SC, TX, VA, and WA.